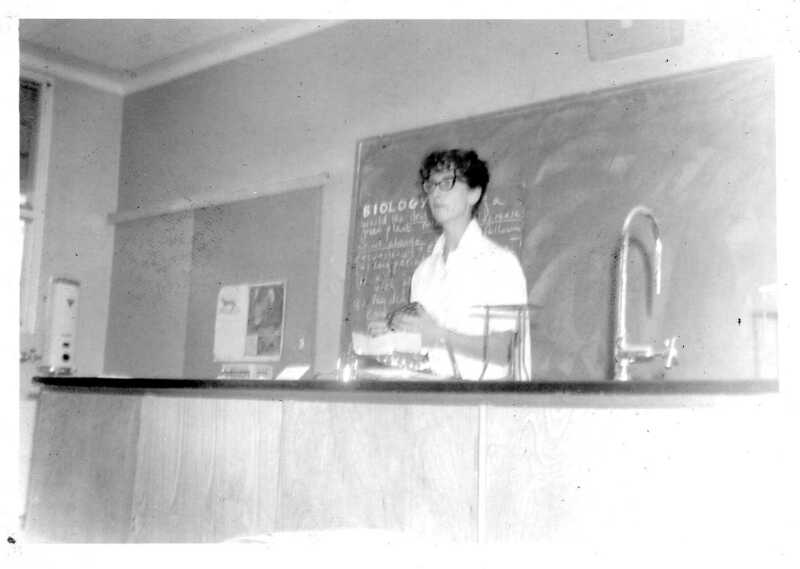 I recently attended the 50 year reunion of my high school Leaving class from a selective state girls’ school in Sydney. Although the group has met every decade since leaving school, this is the first I have attended. I have lived interstate since the year of the first decade reunion and travelling to school reunions was not on my radar in the years I was raising children and building a home and career in South Australia. I have very fond memories of my schooling, including my five years at a high school. I think my schooling served me well. It supported my parents’ conviction that education was the pathway to a productive life and that girls needed (and deserved) a career. It taught me to think for myself, to analyse, organise, hypothesise, challenge, martial and test arguments. It gave me a peer group with whom I could share, trial and extend these skills as well as teachers who were role models and experts in their subject fields. My subsequent courses at Sydney University and the University of South Australia built on what I learned at school, but it was the intellectual skills and the mental discipline I acquired at high school that formed the solid foundation. 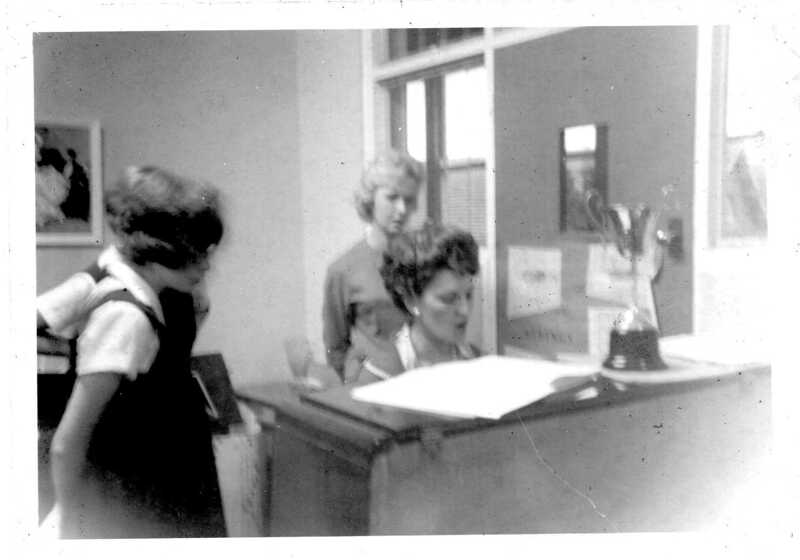 Few of our mothers had careers of their own. Many of them, mine included, had no secondary education. As far as I am aware, none of the mothers of my peer group had university education. 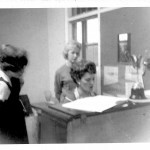 All of them had been affected by the war – many as refugees – all in one way or another part of the war effort: working during the war to replace enlisted men, saving coupons, living with parents for years after marriage because of housing shortages, and stretching and recycling clothing and linen. And all of them wanted more than domesticity and typing for their daughters. They wanted their daughters to contribute fully and powerfully to Australia. 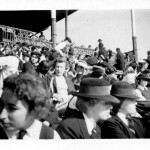 If the achievements of the 60 or so women who gathered at my school reunion were documented, I think NSW legislators would be able to argue that their post-WWII investment in education had paid both economic and social dividends at least in keeping with, if not exceeding, their intentions. The group included authors, journalists, musicians, at least one architect, Anglican priest, school principal and university chancellor, along with researchers, biochemists, deputy principals, and many school, TAFE and university teachers . An extraordinary number of those present worked in science areas – as science or mathematics teachers, as researchers, administrators or in science-related businesses. 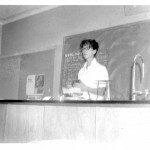 For a school leaving class, pre-Wyndham, in a girls’ school this is a surprising outcome – and a huge tribute to the education system of the time, the school and the women who taught there. So is this an argument for selective education? 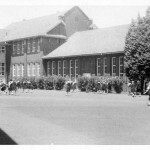 In that time, and that place, the school was successful in taking girls with high IQs and educating them well – preparing them for careers that fuelled the growth of a knowledge economy. Our cohort helped lift our community’s living standards by staffing and shaping schools, universities, hospitals, media, government and businesses. 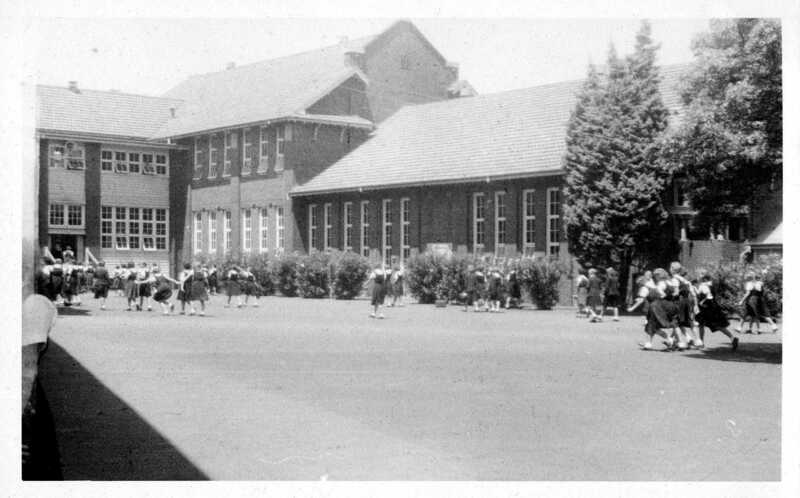 While a goodly group of girls came to my high school from one primary school’s “Opportunity Class” the majority of us came in ones, twos or threes from very ordinary state primary schools in mostly working-class suburbs in a radius of 10-12 miles around the school. We were the ones not destined for the domestic science or ‘commercial’ girls’ schools that most of our primary school cohort attended. Very few of us could have afforded to attend an independent school. Once in high school, for three years we were rigidly channelled, first by IQ, then by exam results. Those with the highest exam scores were offered two years of learning three languages – French, Latin and either Modern German or Ancient Greek. Those 40 or so with exam results in the next quartile were offered the chance to do French, Latin and History. Those ranked in the third quartile were offered French, Latin and Geography, and those in the fourth quartile French, Geography and either Art or Sewing. Whatever the advantages and disadvantages of selective schools, the impact of this rigid subject and student classification was destructive. It bore no relationship to interest, aptitude or career pathways. It was mitigated in the final two years of high school when timetables were constructed around student subject choice rather than fixed class groups, but the damage to self-esteem, interest, social skills and confidence had, for many girls, been done. The bruises were still there 50 years later at the reunion, although there was no evidence that life pathways had in any way followed those early classifications. Fortunately, even as we left school, the Wyndham Scheme was introducing more flexible pathways for girls three years behind us. Even later innovations have hopefully led to a greater acknowledgement of the cultural capital students bring to their schooling. My greatest regret from my schooling is that we had little if any chance to learn from, or of, the diverse and multicultural communities from which we all came. We, and our families, would have benefited from a deeper understanding of Australian heritage. In that post-war period it was no doubt safer to steer clear of the immediate past and create a schooling culture that largely ignored the communities to which students belonged. We missed, however, a lot in understanding. The knowledge society that we now live in relies much more on diversity, flexibility and innovation. It provides almost no pre-set and predictable pathways, fewer and fewer routine, predictable jobs, relying more and more on capability, analysis, collaboration, creativity, thinking and organisation. Not only can our society not be sustained by a stratified education system, but it requires a very broad range of skills and talents to be exercised day in, day out, in workspaces, living spaces and leisure spaces, to generate the opportunities and improvements our economy has come to rely on. Few of my cohort would have predicted in 1963 the stories we told each other at the reunion. Yet we had all adapted – and contributed it ways that did our education proud. We have given our labour and our talents back to the society that paid for our education. In our time at school we may have been an education elite, but we have, as adults, served society as a whole. The lesson for me, as an educator, is now not how to ensure that children with high IQ are well educated, but how to ensure that all children grow up knowing their community needs their every talent and that their school will reliably nurture and develop those talents – drawing on, and where necessary, building community supports. I am grateful for my education. I am grateful to parents who believed in me and valued education. I am grateful for education policies based on the right of every child, everywhere to free, compulsory and secular schooling, and structures that provided education pathways for children regardless of family income. 50 years on, the challenge it to ensure that every child has pathways to continuing education – to achieve the highest possible standard in what our society regards as core areas and to have flexibility to branch out, adapt and innovate. Whether or not selective schooling has a role to play in achieving this is likely to be answered differently around the country. What we can’t afford to disagree on is the need to expect every child, regardless of postcode and parental income, to have the schooling that delivers achievement at or above community standards and builds a knowledge future for Australia. Thank you for your thoughtful comments. Yes, there were certainly gaps in our secondary education. My knowledge of social and political history was minimal at that stage. We were given no context in which to develop our views on societal issues. 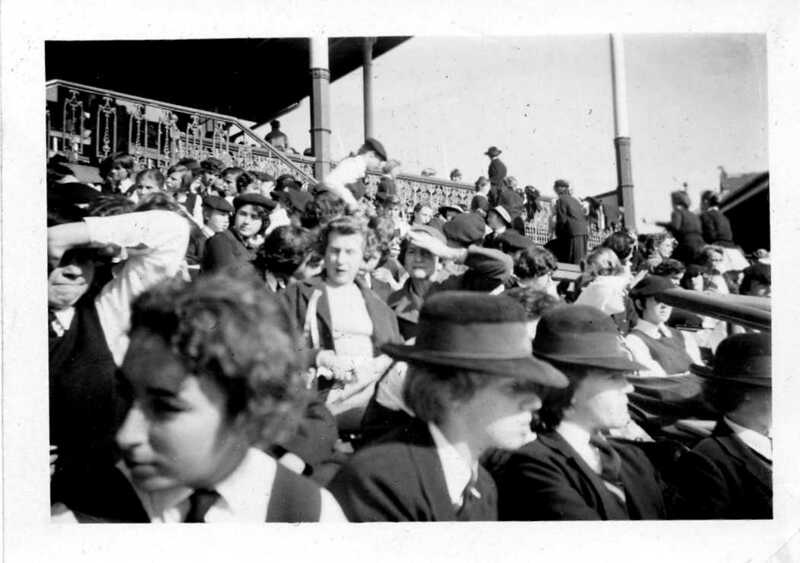 Yet, we were there – a large group of adolescent girls from such a range of heritage and economic advantage. And much was expected of us! It seeped in, I suppose, that we had the right to be there, the right to education, the right to achieve. I had gained a considerable knowledge of myself and my abilities, by the time I left secondary school. There was much ‘life learning’ yet in front of me and there still is! As you have suggested, it is of utmost importance, that access to the broad spectrum of education today is a ‘given’ – to all children and young people, ‘regardless of postcode and income’.